The main problems we faced about biomass energy are dispersing resources and high cost of material collection. 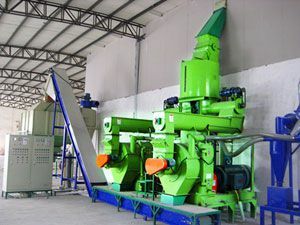 Except biogas energy which is mature basically, other kinds of biomass energy such as fuel pellets is still in the early stage of industrial development. Biomass materials have great potential as a kind of green fuel. Let’s take straw recycling for example. Years before, straw is seen as a kind of useless waste. Later in recent years, people gradually realized the significance of straw recycling. And the utilization of straw resources got great promotion. With the positioning of energy strategy, the utilization of fuel pellet mill will bring a new round of opportunity for development in China. China is a big country of agriculture. The yield of crop straw is increasing year by year. How to deal with the straw wastes have become the thorniest problems for new rural construction. Indiscriminate dumping and burning of crop straw is not only a waste of resources but also pollute our environment. Backed by the national policy and support, the processing of straw fuel pellets, straw feed, straw coal will develop fast in recent years. Green fuel and green animal feed product is the best and right way to go. 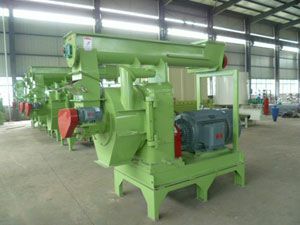 At present, most provinces and cities of have list fuel pellet machines, feed pellet mill and biomass briquette press into the scope of financial subsidies. For the ones who want to start a small business, fuel pellet production is a good opportunity!